A 75-year-old man has been arrested on suspicion of planting a home-made bomb that exploded near a mosque. BRITISH POLICE ARRESTED a 75-year-old man on Thursday on suspicion of planting a home-made bomb that exploded near a mosque. Police said the man was arrested by counter-terrorism officers at his home in Walsall, central England, where the small bomb exploded last Friday. There has been a spike in anti-Muslim incidents in Britain since a soldier was murdered on a London street last month in a suspected Islamist attack. Nobody was hurt in the Walsall explosion and damage was minimal, police said. The suspect was arrested on suspicion of causing an explosion likely to endanger life or damage property. He was being questioned at a police station and his home was being searched. 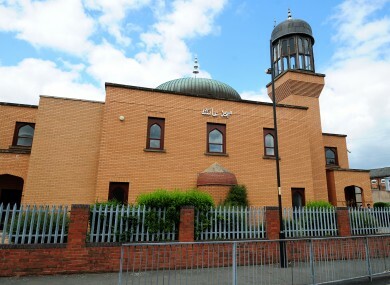 Around 150 people had to be evacuated from their homes after the bomb was discovered outside the Aisha Mosque, while police launched a major hate crime investigation. Email “Elderly Briton arrested over mosque bomb”. Feedback on “Elderly Briton arrested over mosque bomb”.